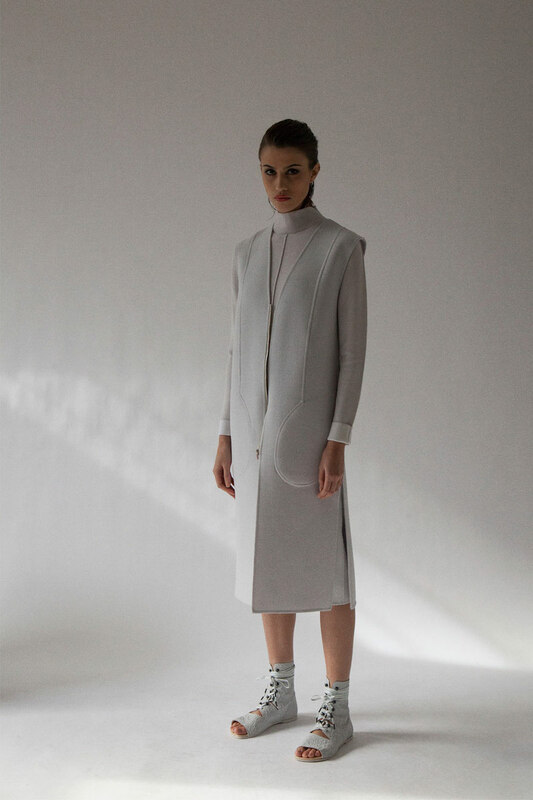 For the British fashion designer Charlotte Hockin, the heavily used term ‘minimalism’ is fast becoming redundant in the industry, For HOCKIN’s Spring/Summer 2016 collection focuses on subtle but playful seamwork. With simplicity of seamwork at the collection’s core, color plays a large role in highlighting garment lines and construction. The collection is comprised of handwoven pieces, merino knitwear, bi-colour tailoring and bonded outerwear crafted from high-quality Italian materials. Fabricated in soft neutrals, dove greys, sky blues and indigos, this season’s offering features double face external seams, boucléd fabrics and split-hem detailing. Shop HOCKIN Spring/Summer 2016 Collection at LN-CC.com.